Shop our dragon pillows and blankets for your chance to cuddle up with a ferocious dragon! Now you can keep cozy and comfortable while being enveloped in fantasy style. 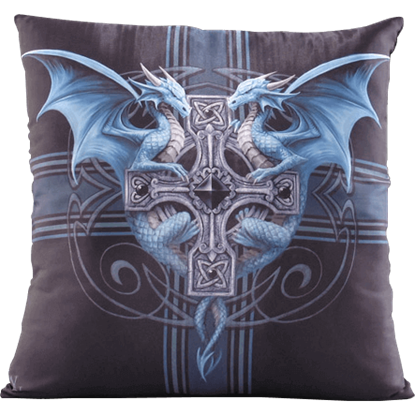 Many of our dragon pillows and blankets feature beautiful fantasy art from legends like Anne Stokes. We offer dragon throw pillows in a variety of sizes, and we offer dragon blankets in fleece or woven versions, as well. When your home needs a touch of softness without sacrificing the mighty style a dragon provides, reach for our dragon pillows and blankets. 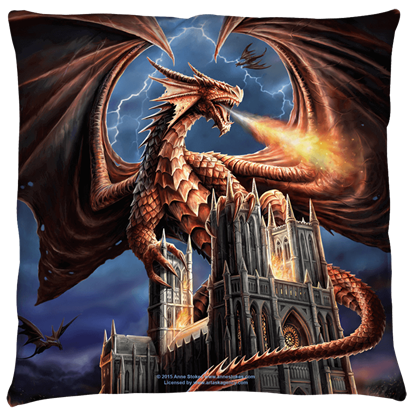 Check out everything from dragon fleece blankets and graphic art dragon pillows to woven dragon blankets and dragon cushions here. They say that it takes two to tango, but this pair is inviting you to join their dance! 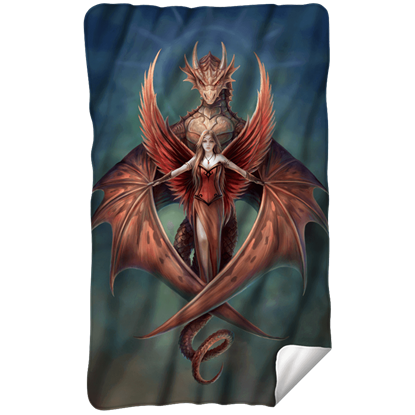 Snuggle up in this Anne Stokes Dragon Dancer Fleece Blanket and enjoy the scene of these happy friends swirling and twirling with one another. A blanket is not just something that keeps you warm. 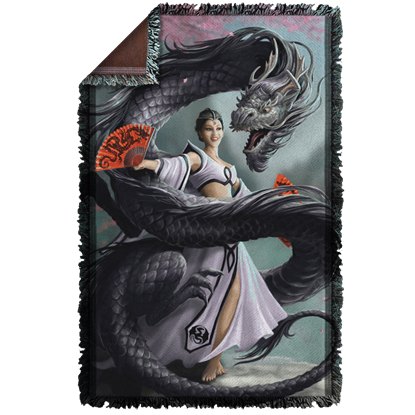 Like this Anne Stokes Dragon Dancer Woven Blanket displays, a blanket can make sure you are warm and cozy while also adding a fantastic decorative touch to the decor of your home. If you do not happen to have an extra fire-breathing dragon hanging about to keep you warm when winter time rolls around, do not fret! 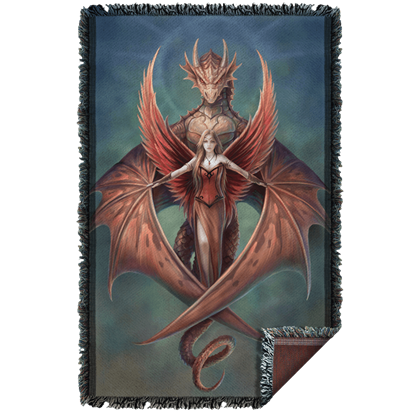 The insulating fleece on this Anne Stokes Dragons Fury Fleece Blanket will surely do the trick. 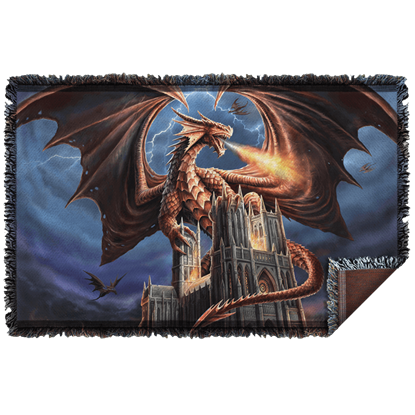 You will never have to choose between an elegant throw blanket and your unique fantasy decor again thanks to this Anne Stokes Dragons Fury Woven Blanket! 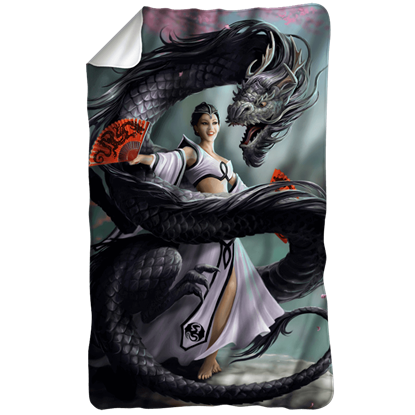 Stay warm and stylish with this blanket that features the art of Anne Stokes. Dragons are well-known as protective beings in the fantasy realm, normally keeping homes safe from evil. 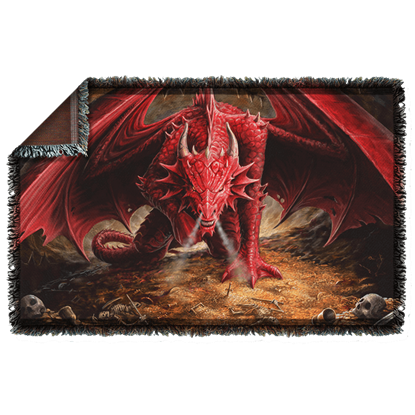 During the cold seasons, this Anne Stokes Dragons Lair Fleece Blanket will keep you safe from that biting chill in the air! The fantasy art of Anne Stokes is so stunning and exciting to behold, and it is not just for hanging on your wall anymore! 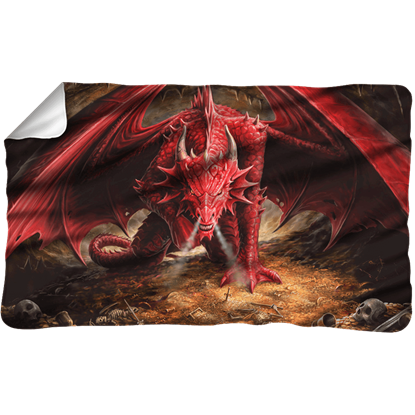 The Anne Stokes Dragons Lair Woven Blanket puts the work of this renowned artist onto a quality throw blanket. After a long day of trudging through the tribulations of the real world, all anybody wants to do is escape to a fantasy realm. 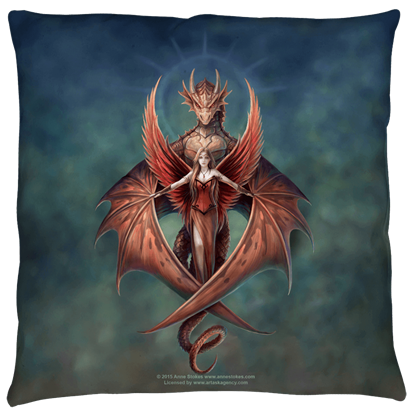 When you rest your weary head on the Dragon Duo Pillow by Anne Stokes, your dreams may carry you there. Dragons are so often depicted as mean and rough, but they can also have a soft side around those they love and wish to protect. 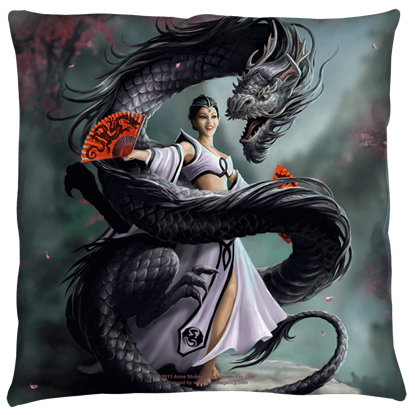 This Large Anne Stokes Dragon Dancer Pillow showcases a happy dragon sharing a dance with its friend. 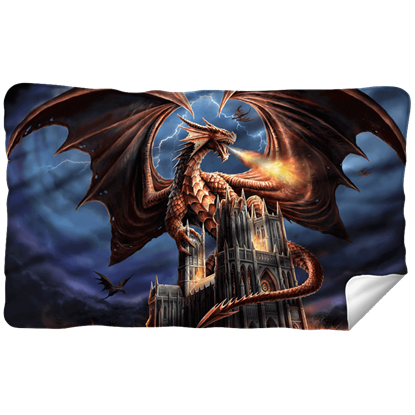 Not only does the Large Anne Stokes Dragon Fury Pillow offer you incredible comfort at the end of a long day, but it does what plain and simple pillows are unable to do by showing an exciting fantastical scene on both of its sides!